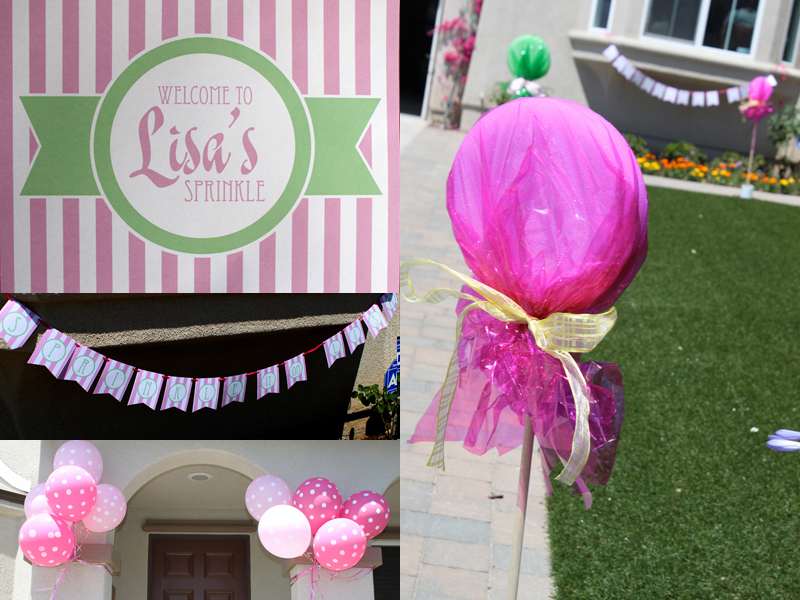 Today I am thrilled to share with you a really fun “Sugar & Spice and Everything Nice” baby shower my friend Jess put on her for her sister-in-law Lisa. What a FABulous job she did! 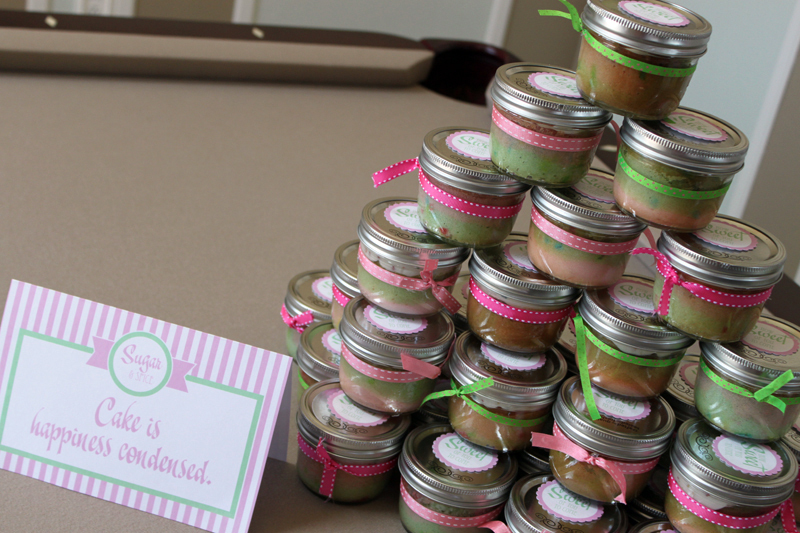 Aside from helping her with the printables, Jess and her mom did everything themselves. I am totally dying over the lollipops up the driveway! What a way to set the tone! 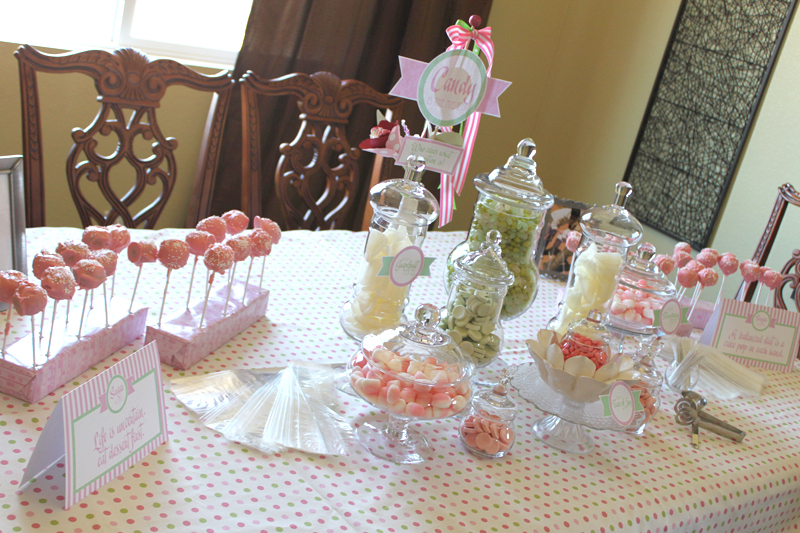 Jess’ friend Christina of A Sweet Addition created this gorgeous candy bar. Jess made the cake pops herself. 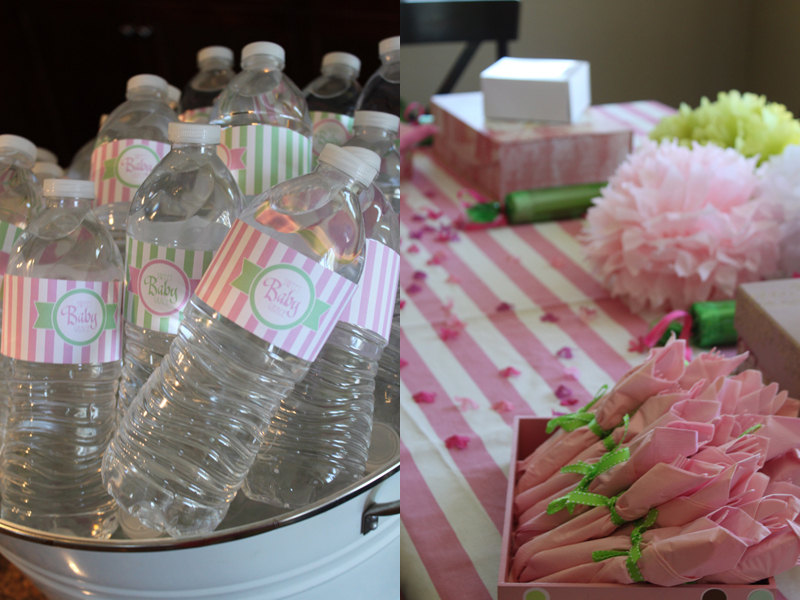 I just love pink and green for baby showers! So fresh! 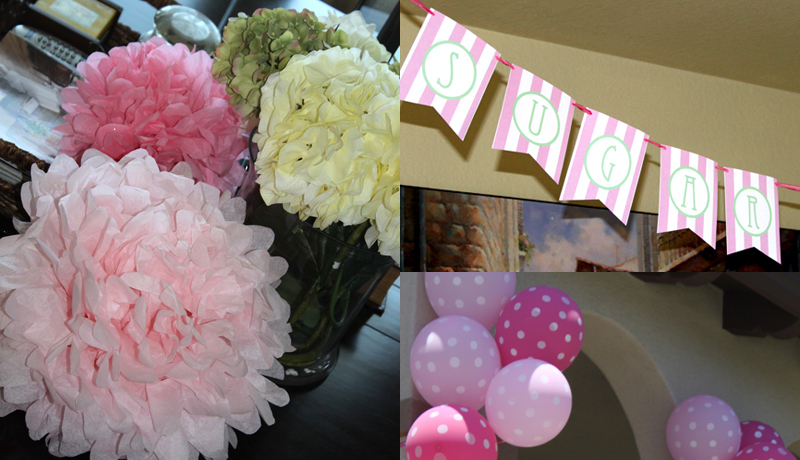 Balloons, tissue poms, and banners were hung everywhere. I keep saying baby “shower” but really this was a “sprinkle.” This is Lisa’s second child but first girl! How sweet! Above the photobooth Jess requested a sign that said “Say Grace!” since the baby girl will be named Gracie. Just adorable. 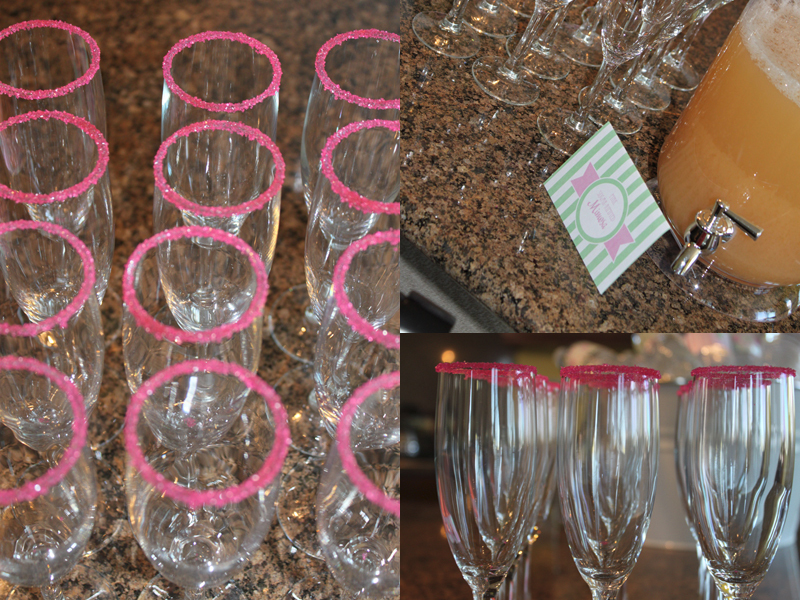 One of my favorite touches was the pink sugar-rimmed mimosa glasses. How much fun would it be to drink out of these? 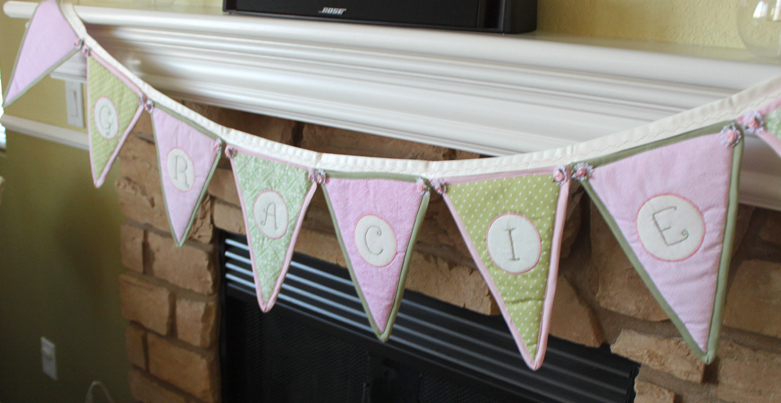 Jess’ best friend’s mom, Barb Sowles, made the banner for the mantle among other adorable things like pillows, quilts, etc. She is a master seamstress… If you’re interested in anything of the sort, leave me a comment and I will see if she’s taking on extra orders. 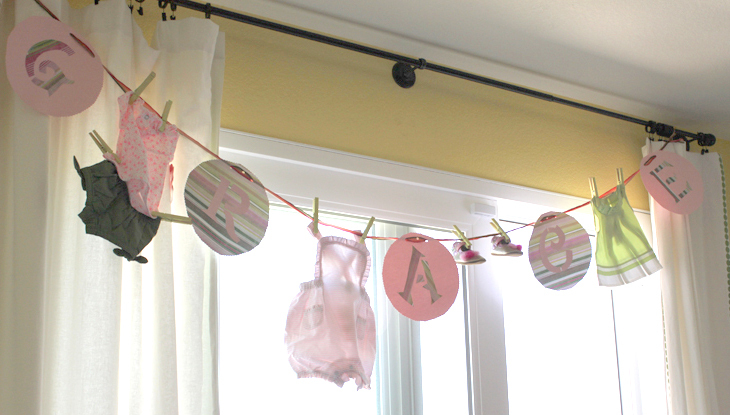 The clothesline got a fun kick with the addition of GRACE spelled out. One of the dearest things they did was create big baby blocks for the guests to sign. What a great keepsake and they already have a home in Gracie’s room. I love this idea and have never seen anything like it before. So clever. sdsf Jess was a busy bee because she sent everyone home with cupcakes in little mason jars. Just adorable. You guys really nailed it with all the fun details. 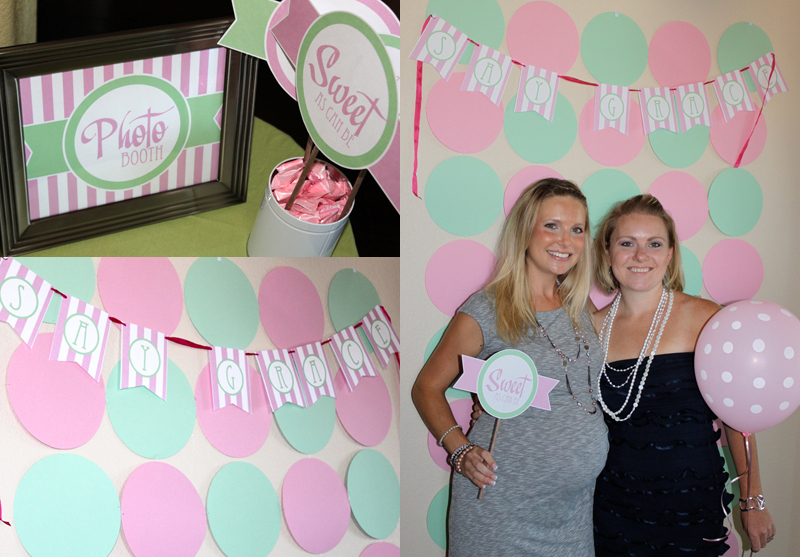 Thanks for the photos of this sweet sprinkle! I think I need me a cupcake! This entry was posted in baby showers, printables and tagged baby shower theme, pink and green baby shower, pink and green party, sugar and spice baby shower theme by Annika. Bookmark the permalink. A- you’re so sweet it makes my heart smile!!! 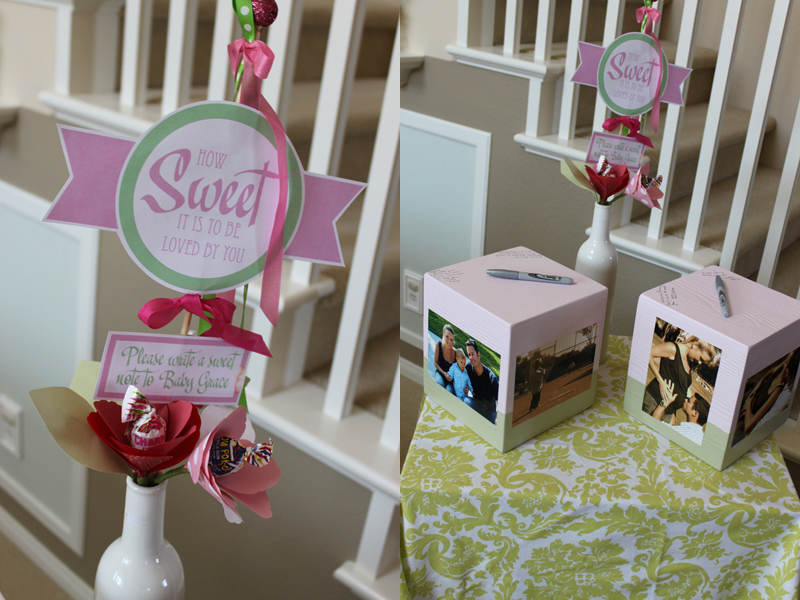 Jess did such an amazing job on every last detail…and the printables & invitations were adorable! Thanks so much for everything!